Why are FDR's called “black boxes” when they are actually orange? 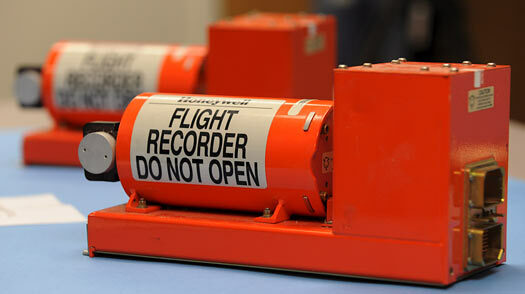 Why do they call flight data recorders a "black box" if it's orange in color? Just curious about this since I've seen several images of black boxes but they all come in orange colors, and not black. I can understand orange being used to help brightly identify the box , but then why call it a "black" box? A black box (generally speaking) is a device or box whose internal working are not of as much interest or value but rather the input and output. Flight data recorders are orange so that they can be located easily in case of a crash. If they were black, they can be camouflaged by their surroundings. Bright orange color make them stand out easily, because nature didn't make many things orange, besides oranges. Another reason is that they are painted/coated with heat-resistant bright orange paint. ... they were essentially photograph-based flight recorders since the record was made on a scrolling photographic film. The latent image was made by a thin ray of light deviated by a mirror tilted according to the magnitude of the data to record (altitude, speed, etc.). Since the inside of the recorder was pitch black, this may be the origin of the "black box" name, often used as a synonym for a flight recorder. Interestingly, the Wikipedia article on Black box claims that the term entered the English language around 1945, which is a few years after the first flight data recorder was built. The correct answer seems to be, "Nobody knows for sure" but here's some data. The earliest citation in the Oxford English Dictionary for the phrase "black box" referring specifically to a flight data recorder isn't until 1964, from the UK Daily Telegraph: "The flight recorder is an indestructible 'black box' which automatically records the key functions in the aircraft..."
There are earlier uses of the phrase, with different meanings. Since 1932, it has been used to mean a device whose internal workings are unclear but which is specified by its inputs and outputs; since 1945, it has been used in the Royal Air Force to refer to various navigational devices which, according to Wikipedia sometimes were housed in literal boxes that were black. The use of quote marks in the Daily Telegraph seems significant. First, it suggests that we're not talking about a literal box which is black and you might imagine they'd say something like " 'black box' (which is now actually orange)" if they were formally literal black boxes. Second, "a 'black box' " suggests that the FDR might be just one of several devices on a plane that could be described as "black boxes". Unfortunately, that seems consistent with both of the other given definitions: you could perfectly well imagine it being RAF-style slang for "This electronic box of tricks does navigation, this one holds the autopilot and this one records flight data" or the input-output version of "I don't know exactly how the autopilot works, but I know what it does; ditto the navigation system; ditto the data recorder." The adjective "black" in "black box" means "opaque". Engineering also uses the phrase "black box testing", which means tests that are done without access to system internals. Similarly, "white box" means transparent, in which internal signals may be recorded or manipulated. A black box recorder is presumably recording pilot actions on the system as well as the state shown to the pilot on the instruments, but none of the avionics internal variables. I doubt any modern FDR would be designed this way, however, since without the internal variables diagnosis of failure could be very difficult. One other theory I've heard (but been unable to verify) about the origin of the term "black box" in popular literature is that the boxes when found often tend to be black. Not as a result of being painted black, but as a result of having been inside a burning aircraft wreck, covered in soot and burnt paint. Whether that's the (or even one of the) reason for the term is probably lost in the mists of time. I seriously doubt it's ever been written down by the people inventing the term (newspaper journalists most likely) what their reasoning was. The black box was invented by Professor Gordon Black at Farnborough in 1948 - hence the name 'black' box. See Who really invented the black box? Not the answer you're looking for? Browse other questions tagged flight-data-recorder cockpit-voice-recorder or ask your own question. Since when black box is called “black box”? When are black boxes used?  Are the single-engine Piper Malibus required to have a black box? Do flight recorders float in water? Why don't they have two black boxes? Why are FDRs and CVRs still two separate physical devices? Are plane's black boxes essentially useless tool in the modern age and how to improve upon it? Are military aircraft required to have black boxes? Why do black boxes seem so outdated?